Over at Let Grow we’re discussing this phenom — the kiddie table separate from the grownups — and if it’s dying out. There’s a survey to take, too. 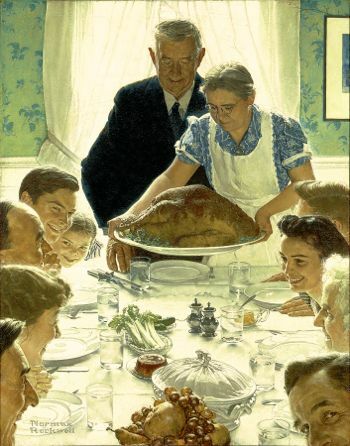 No matter how you carve up the family (as in seating arrangements, that is), have a great Thanksgiving!